Bay Area public health officials have issued a warning after it was discovered a Santa Clara County resident was traveling on Caltrain while infected with the measles. The person rode Caltrain on April 1 and April 3. The lines made stops in Santa Clara, Sunnyvale and San Jose. Despite that, local public health officials say the risk in the South Bay Area is very low. Moles says the people who do need to be concerned are ones that might have been in the same train car as the person infected with measles and are not immune to measles or have weakened immune systems. The infected person got on the first car (car 116) of Caltrain 319 northbound on April 1 from 6:56 a.m. – 8:13 a.m. According to the Caltrain schedule, the train was at the Tamien Station in San Jose at 6:56 a.m. and stopped at Sunnyvale at 7:15 a.m. before ending in San Francisco at 8:13 a.m.
Public health officials say people in the last car (car 116) of Caltrain 232 southbound from 8:45 a.m. – 9:15 a.m. on April 1 should also be on the lookout for measles symptoms. The Caltrain schedule indicates that train started in San Francisco and was in Mountain View at 9:15 a.m.
On April 3, the person rode the second car from the back (car 3861) on Caltrain 258 southbound from 3:34 p.m. to 5:10 p.m. According to the Caltrain schedule, that train started in San Francisco at 3:34 p.m. and stopped at Sunnyvale, Lawrence, Santa Clara and College Park. It was at Tamien Station at 5:10 p.m.
Public health officials say people in the second car from the front (car 3861) on Caltrain 279 northbound from 5:32 p.m. – 6:15 p.m. on April 3 should also be on the lookout for measles symptoms. According to the Caltrain schedule, that train started at the Tamien station and stopped at Santa Clara, Lawrence and Sunnyvale. It was in Palo Alto at 6:15 p.m.
For a complete list of all the locations public health officials are warning people about, click here. Santa Clara County has had a series of incidents involving measles in the past few months. On March 16 – 23, a tourist infected with measles traveled through Santa Clara and Sunnyvale. 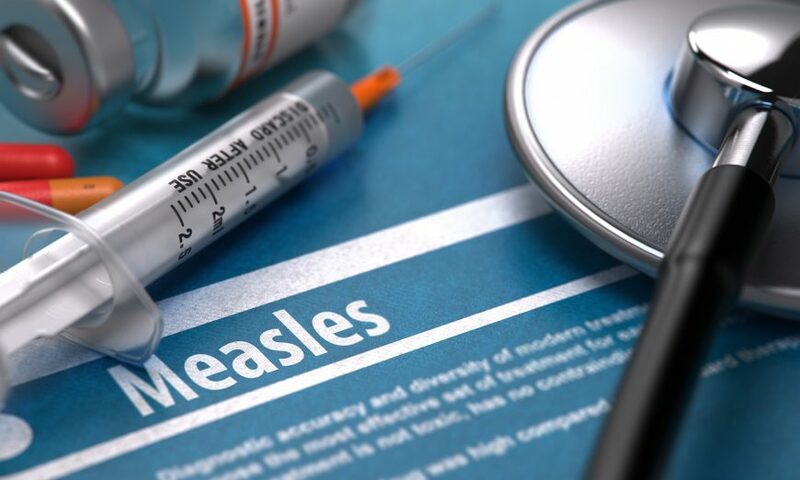 In late March, county health officials said a county resident traveling internationally contracted measles. Health officials say there are high rates of vaccination in Santa Clara and San Francisco counties, so most people will be immune to measles.